39. The Church, whose mystery is being set forth by this Sacred Synod, is believed to be indefectibly holy. Indeed Christ, the Son of God, who with the Father and the Spirit is praised as “uniquely holy,” (1*) loved the Church as His bride, delivering Himself up for her. He did this that He might sanctify her. (214) He united her to Himself as His own body and brought it to perfection by the gift of the Holy Spirit for God’s glory. 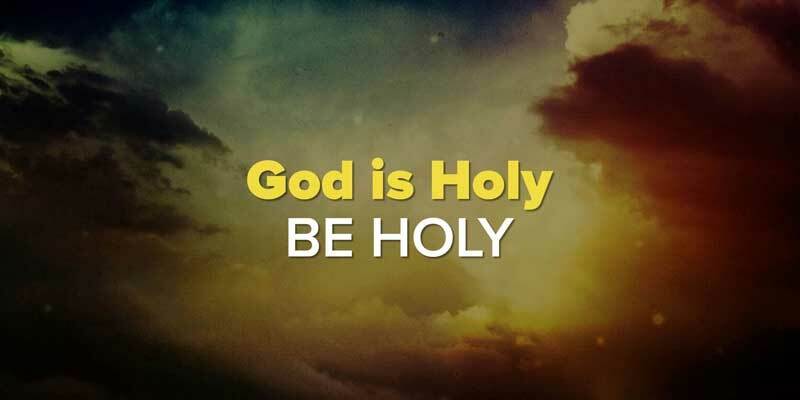 Therefore in the Church, everyone whether belonging to the hierarchy, or being cared for by it, is called to holiness, according to the saying of the Apostle: “For this is the will of God, your sanctification”. (215) However, this holiness of the Church is unceasingly manifested, and must be manifested, in the fruits of grace which the Spirit produces in the faithful; it is expressed in many ways in individuals, who in their walk of life, tend toward the perfection of charity, thus causing the edification of others; in a very special way this (holiness) appears in the practice of the counsels, customarily called “evangelical.” This practice of the counsels, under the impulsion of the Holy Spirit, undertaken by many Christians, either privately or in a Church-approved condition or state of life, gives and must give in the world an outstanding witness and example of this same holiness. Priests, who resemble bishops to a certain degree in their participation of the sacrament of Orders, form the spiritual crown of the bishops. (6*) They participate in the grace of their office and they should grow daily in their love of God and their neighbor by the exercise of their office through Christ, the eternal and unique Mediator. They should preserve the bond of priestly communion, and they should abound in every spiritual good and thus present to all men a living witness to God. (7*) All this they should do in emulation of those priests who often, down through the course of the centuries, left an outstanding example of the holiness of humble and hidden service. Their praise lives on in the Church of God. By their very office of praying and offering sacrifice for their own people and the entire people of God, they should rise to greater holiness. Keeping in mind what they are doing and imitating what they are handling,(8*) these priests, in their apostolic labors, rather than being ensnared by perils and hardships, should rather rise to greater holiness through these perils and hardships. They should ever nourish and strengthen their action from an abundance of contemplation, doing all this for the comfort of the entire Church of God. All priests, and especially those who are called “diocesan priests,” due to the special title of their ordination, should keep continually before their minds the fact that their faithful loyalty toward and their generous cooperation with their bishop is of the greatest value in their growth in holiness. Ministers of lesser rank are also sharers in the mission and grace of the Supreme Priest. In the first place among these ministers are deacons, who, in as much as they are dispensers of Christ’s mysteries and servants of the Church,(9*) should keep themselves free from every vice and stand before men as personifications of goodness and friends of God. (225) Clerics, who are called by the Lord and are set aside as His portion in order to prepare themselves for the various ministerial offices under the watchful eye of spiritual shepherds, are bound to bring their hearts and minds into accord with this special election (which is theirs). They will accomplish this by their constancy in prayer, by their burning love, and by their unremitting recollection of whatever is true, just and of good repute. They will accomplish all this for the glory and honor of God. Besides these already named, there are also laymen, chosen of God and called by the bishop. These laymen spend themselves completely in apostolic labors, working the Lord’s field with much success.(10*). Furthermore, married couples and Christian parents should follow their own proper path (to holiness) by faithful love. They should sustain one another in grace throughout the entire length of their lives. They should embue their offspring, lovingly welcomed as God’s gift, with Christian doctrine and the evangelical virtues. In this manner, they offer all men the example of unwearying and generous love; in this way they build up the brotherhood of charity; in so doing, they stand as the witnesses and cooperators in the fruitfulness of Holy Mother Church; by such lives, they are a sign and a participation in that very love, with which Christ loved His Bride and for which He delivered Himself up for her. (11*) A like example, but one given in a different way, is that offered by widows and single people, who are able to make great contributions toward holiness and apostolic endeavor in the Church. Finally, those who engage in labor—and frequently it is of a heavy nature—should better themselves by their human labors. They should be of aid to their fellow citizens. They should raise all of society, and even creation itself, to a better mode of existence. Indeed, they should imitate by their lively charity, in their joyous hope and by their voluntary sharing of each others’ burdens, the very Christ who plied His hands with carpenter’s tools and Who in union with His Father, is continually working for the salvation of all men. In this, then, their daily work they should climb to the heights of holiness and apostolic activity. Finally all Christ’s faithful, whatever be the conditions, duties and circumstances of their lives—and indeed through all these, will daily increase in holiness, if they receive all things with faith from the hand of their heavenly Father and if they cooperate with the divine will. In this temporal service, they will manifest to all men the love with which God loved the world. 42. “God is love, and he who abides in love, abides in God and God in Him”. (227) But, God pours out his love into our hearts through the Holy Spirit, Who has been given to us;(228) thus the first and most necessary gift is love, by which we love God above all things and our neighbor because of God. Indeed, in order that love, as good seed may grow and bring forth fruit in the soul, each one of the faithful must willingly hear the Word of God and accept His Will, and must complete what God has begun by their own actions with the help of God’s grace. These actions consist in the use of the sacraments and in a special way the Eucharist, frequent participation in the sacred action of the Liturgy, application of oneself to prayer, self-abnegation, lively fraternal service and the constant exercise of all the virtues. For charity, as the bond of perfection and the fullness of the law,(229) rules over all the means of attaining holiness and gives life to these same means. (12*) It is charity which guides us to our final end. It is the love of God and the love of one’s neighbor which points out the true disciple of Christ.